Hold on, Captain Obvious — I will break this down further: New Model Year RVs, Great RV Deals, and Undiscovered RVs. There are some exciting things happening in RVs in 2018. Many companies are introducing new floor plans — like Thor, Jayco, and Keystone. The variety of sizes is expanding. More Class A options in the under 30ft category from Coachmen and Fleetwood. And new Builders entering new categories, like Tiffin offering a Class C Motorhome. Although it looks like a Class B+ to us, similar to what Airstream and Leisure Travel Vans offer. If anyone can pin that down, let us know. Is that like a “Pony car” vs. “Muscle Car” debate? What you get inside is ever changing, I never thought a washer and dryer was even a possibility — saw it last year. I’ve heard there are more builders offering two full-baths in 2018. Mind blown! 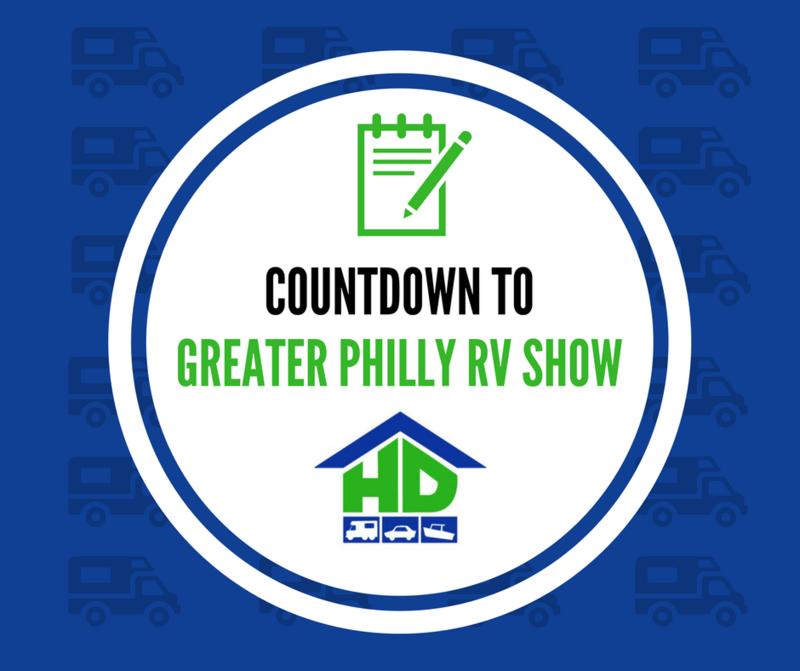 Unlike many car shows where you just admire from afar, you can walk away with a great deal on an RV at the Greater Philly Show. You may be lucky enough to find “the one” by the end of the weekend and make it yours. Or you could follow our path and find a great dealer to work with. And get “the one” not too long after. Either way, the show is a great way to educate yourself and comparison shop. You want a new RV with no regrets. 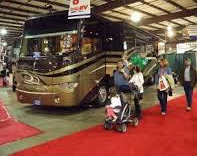 We had our neighbors attend last year, like Fretz Rv and Camper’s Inn RV. This is a fun one. These RVs in a class of their own that you have never seen before. I was blown away by the tiny trailers last year. They can be pulled by most vehicles and pack a lot in a small space. Looking forward to seeing what is BIG in tiny this year. This fun article RV Trends in 2018 for the Adventure Hungry Traveler can be your Scavenger List for the upcoming show. And that’s all for #1, next of #2 — What do you think it will be? ‹ PreviousHD Indoor Storage: Location! Location! Location!